There is more than one artist with this name. 1) Lucero is an American punk/country infused rock band that is based in Memphis, Tennessee. 2) Lucero, Mexican actress and singing sensation. 1) Lucero's punk rock roots flavor their now "country-ish" music, while their Southern roots give them the twang that they have come to be known by. The band played for the first time in early 1998. Since 2001, they have played between 150 and 200 shows a year across the United States and Canada. They have released eight full-length albums, the latest entitled Women & Work. 1) Lucero is an American punk/country infused rock band that is based in Memphis, Tennessee. 2) Lucero, Mexican actress and singing sensation. 1) Lucero's punk rock roots flavor their now "country-ish" music, while their Southern roots give them the twang that they have come to be known by. The band played for the first time in early 1998. Since 2001, they have played between 150 and 200 shows a year across the United States and Canada. They have released eight full-length albums, the latest entitled Women & Work. 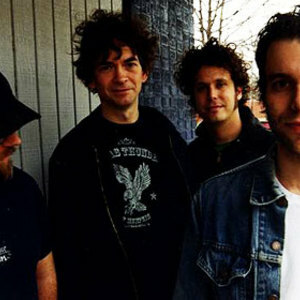 The members of Lucero are Roy Berry (drums), John C. Stubblefield (bass), Brian Venable (guitar), and Ben Nichols (guitar and vocals), and occasionally Rick Steff (piano, organ, accordion). Todd Gill substituted for Brian Venable from 2003 to 2004. The band also experimented with guitarist Steve Selvidge in the early months of 2003. Ben Nichols' previous band was Red 40 in which he played alongside Colin Brooks and Steve Kooms. In late 2008 the band announced they had signed a four album deal with Universal Music Group. Their album, 1372 Overton Park, was released October 6, 2009. The Last Pale Light in the West, the first solo release from frontman Ben Nichols, was released in January 2009 on the band's own label Liberty & Lament. The 7 song record was inspired by Cormac McCarthy's book Blood Meridian. 2) Lucero, (born Lucero Hogaza Le?n on August 29, 1969) is a female Mexican Multi-Platinum singer and actress who started her career at the age of ten, she has sold over 27 million albums worldwide. She has sung songs in Spanish, Portuguese and English. Then known as Lucerito, she started out as an actress on children's TV, soon followed by soaps and a recording contract. In 1989 she started using her birth name Lucero. Her wealth of material includes Spanish Pop and Rancheras. Lucero remains active in the entertainment business in Mexico. She has recorded over 20 albums to date and her newest, INDISPENSABLE, in September 2010. She is currently separated from singer Manuel Mijares, with whom she has two children.